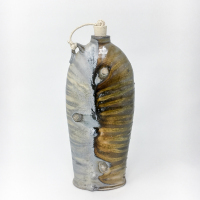 Originally from Cincinnati, Ohio, Jon recently completed his MFA in ceramics at Utah State University. In Utah he split his time between making pottery and teaching art classes to children with developmental disabilities. He currently is the Smithy Clay Studio manager, and an adjunct Professor at SUNY Oneonta. In the studio his research is geared towards atmospheric firing. When he isn't producing work or firing kilns, he can usually be found fly fishing. He enjoys the support of his partner Madeline Walker, and has a heck of a cat named Phoebe. Karla Andela is a local potter and teacher having grown up in Richfield Springs, NY. She has her Bachelors Degree from Calvin College in Art Education with an emphasis in Ceramics and a minor in Music. Karla worked in the Calvin Ceramics Department as the Studio Assistant and honed her throwing skills on the pottery wheel. Artist Statement: When I teach I hold a safe space for my student to explore and discover something new about themselves. In doing so I also learn something new about myself. What sensations can be discovered in each moment? Where do I go when things get hot? How can I be more compassionate with myself and others? Who can be forgiven? How can I look into your eyes and say, "Just like me." The teacher in me honors the teacher in you. Namaste. Kris Gildenblatt moved to Cooperstown in 2011 and shortly thereafter began her journey into the creative world of pottery. Her background as a Registered Nurse, Women’s Health Nurse Practitioner, and Professor of Nursing fosters her particular interest in the therapeutic and healing dimensions of working with clay and provides unique impetus and focus to her method of instruction. She incorporates principles of mixed media, especially sewing and embroidery, into her own work and has developed a focus on fine detail and delicate finishes. 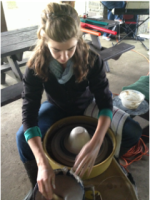 Having learned and incorporated a variety of techniques from local and internationally acclaimed potters alike, she draws her inspiration from nature, textiles, sewing, music, and the healing arts. Kris is greatly indebted to the many talented artists at the Smithy for their continuing encouragement, influence, and direction. Ann was born in Pittsburgh. She has been an artist her entire life, beginning art classes at Carnegie Mellon when she was in second grade. 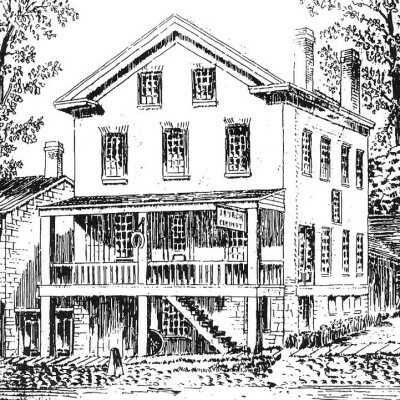 Her family relocated to Cooperstown and she attended school here through high school. Ann attended St. Lawrence University and graduated from Elmira College with a BA in Studio Art, studying a broad range of mediums including drawing, painting, ceramics and printmaking. After college, Ann worked at Corning Glassworks as a dinnerware designer, developing patterns for dinnerware and accessories. She was recruited, after four years, by Armstrong World Industries in Lancaster, PA. She spent the next 30 years designing floorcovering and ceiling products and managing design professionals. She received multiple US patents and design awards for the products she designed. Following her retirement, Ann rediscovered her passion for ceramics. She produces hand built ceramic pieces and teaches workshops in hand building. The work she does allows her to combine her love of ceramics, drawing and painting. Ann is a member of the Cooperstown Art Association staff and teaches at the Smithy Clay Studio. Eileen Murphy is an artist and educator and has been involved with clay and art most of her life. She established her studio in the Cooperstown area in 1976, primarily making Salt Glazed pieces with incised drawings of local flora and fauna in their natural environments. Her artistry in drawing on clay has been shown in many galleries including one woman shows in NYC, with pieces in private and corporate collections. The Ritz Carlton has commissioned several series for their hotels around the country including Shorebirds of Florida, Catskill Mountain Habitats and a unique series Rocky Mountain Landscapes specifically for the Winter Olympics held in Utah. Eileen's work is also in the permanent collections of The Brooklyn Museum of the City of New York (Feminist Wing), The Everson Museum in Syracuse, and the State of Idaho Museum. An award winning teacher, her work and thoughts have been published in ceramic text books as well. She taught Middle and High School Art in Cooperstown and continues to be involved in Education and the Arts including teaching adult classes in Oneonta and The Smithy. Her research in clay led her to study archaeology, ancient sculpture and rituals including using the Labyrinth as a meditative experience. 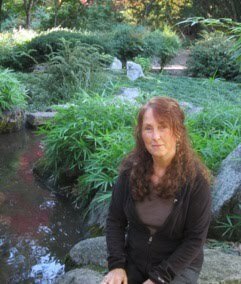 She is a certified Labyrinth Facilitator and has taught workshops on Labyrinth History and leads walks on the labyrinth on her property which is modeled after the labyrinth in the Chartres Cathedral. Her current work focuses on sculptures and installations relating to the environmental and spiritual connections of our shared human experiences. She is passionate about clay and sharing her appreciation of this amazing gift formed by our planet. Eileen has extensive experience in throwing on the wheel, having been a production potter for over 15 years, as well as hand building and sculpting. As a teacher she encourages people to joyfully expand their experiences and develop their own style with attention to craftsmanship, form and function.